We say “wide” because Areaware makes so many fascinating objects, both useful and aesthetically pleasing. This New York-based studio of design aims to make your home objects as unusual as possible, while still retaining their useful factor – and get a laugh or jolt of surprise from you along the way. 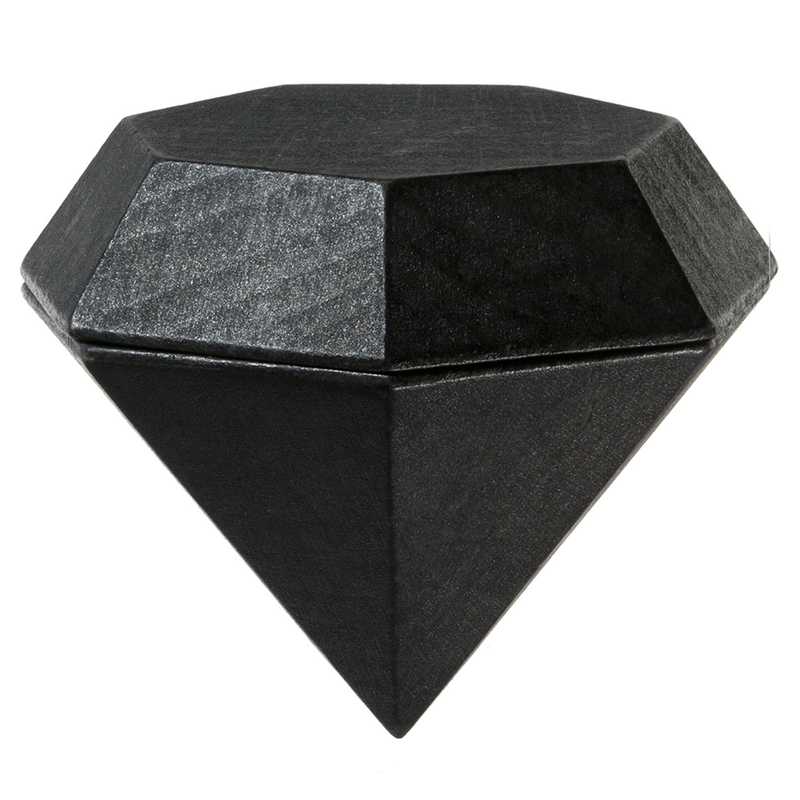 Keep your precious things in a box equally as precious, with a Diamond Box from Fort Standard and Areaware. Of course, it’s not a real diamond, but it’s still unique and special all the same. Crafted from beech wood, the Diamond Box has been made to mimic the famous round cut, designed especially to achieve the maximum in fire and brilliance of this valuable stone. The crown and base of this box are secured together by strong magnets, seamlessly joined in order to house anything you value. Made from beech wood with a painted finish. Held shut by magnets, for a seamless hideaway for special objects. Dimensions: 7 x 5.5 x 5.5cm.